The Z-Lamp is a patented invention of American firm Musco, a leading specialist in lighting systems for sports fields and large outdoor areas. American practice for sports lighting is completely different than found in European installations, and it is customary to work with symmetrical reflectors, and high wattage metal halide lamps of the type developed for general lighting applications. 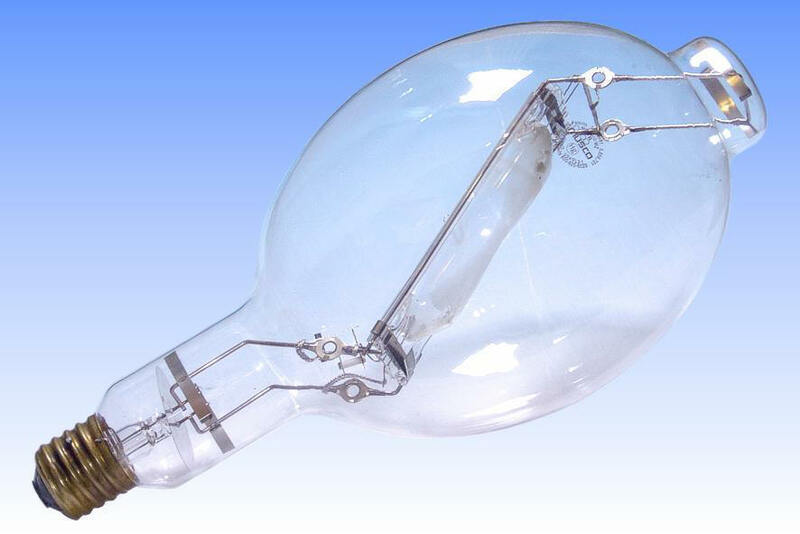 These lamps are designed for operation with the arc tube either vertical or horizontal. 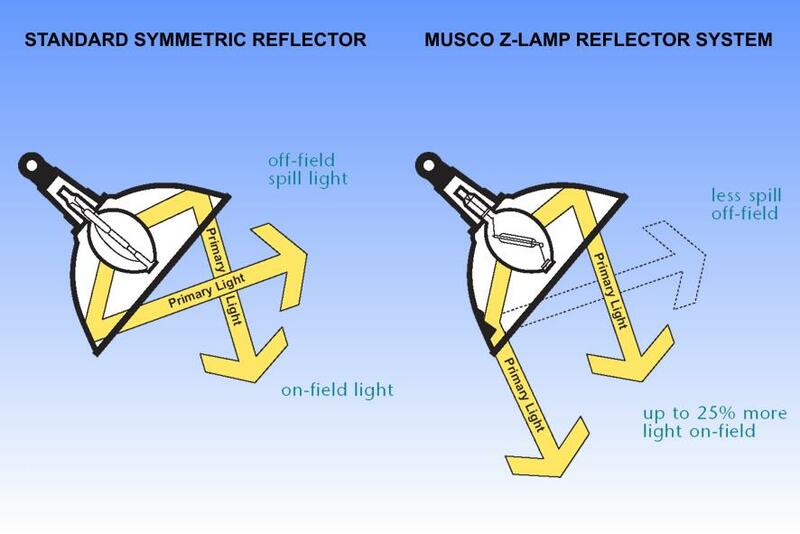 However when used in a simple symmetrical reflector, the entire lamp and reflector must be aimed downwards, so as to illuminate the required area (whereas in European practice using specialised double ended lamps, the arc tube always remains horizontal, regardless of the fixture orientation). 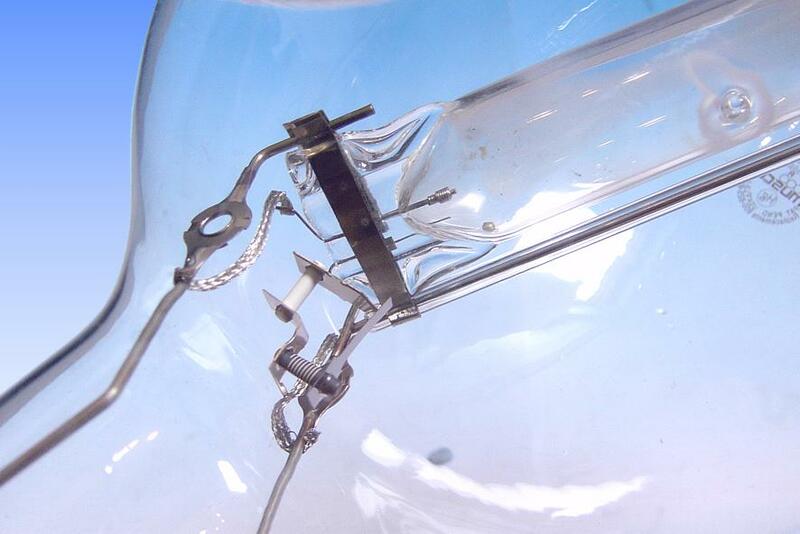 A metal halide arc tube operates at maximum efficacy when either vertical or horizontal. Tilting the whole lamp, as required in American practice, results in a loss of efficacy up to 20% from the lamp, due to the formation of cold regions on the lower side of the arc tube. 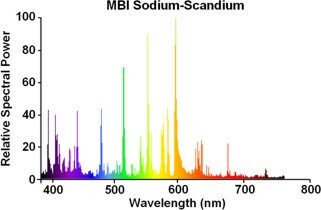 Additionally there is a shift in light colour. 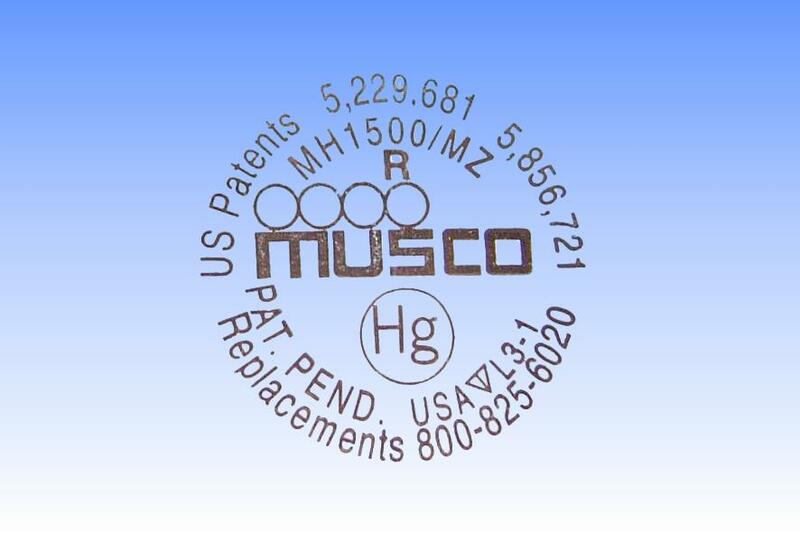 The invention of Musco overcomes this drawback by providing a lamp in which the arc tube is already tilted away from the axis of the lamp's outer jacket. An additional advantage is that when the arc tube is in a horizontal position in the reflector, a greater percentage of its output can be directed down onto the field area with a single reflection, and the total amount of downward light is increased. The combination of this lamp with new fixtures employing special optics results in approximately 25% more useful light, and a great reduction in glare and spill light. Manufacturer: Philips Lighting Company, USA. References: 1) Musco LightLine Newsletter, Spring 2003. 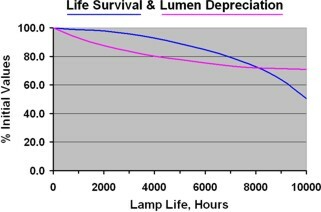 2) Philips Lighting USA Product data specification. 3) US Patent 5,229,681 (1993) and 5,856,721 - Discharge Lamp with Offset or Tilted Arc Tube.